Shop online for 110 dimensions at discounts up to 28%. 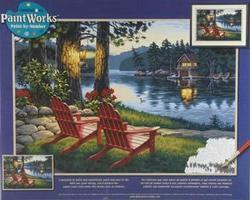 This is the Dimensions 20" x 14" "Adirondack Evening" PaintWorks Paint-by-Number Kit. Suitable for Ages 10 & Older Design by: Darrell Bush. 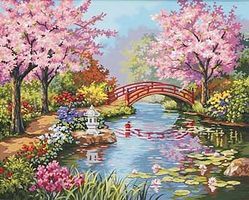 This is the 20" x 16" "Japanese Garden" PaintWorks Paint-by-Number Kit from Dimensions. Suitable for Ages 10 & Older. This is the Guardian of the Sea Paint-By-Number Kit by Dimensions. 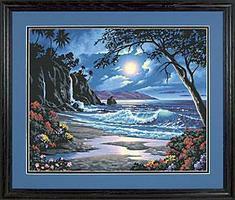 This is the "Moonlit Paradise" (Full Moon with Waves Crashing on a Beach) Paint-by-Number Kit from Dimensions. 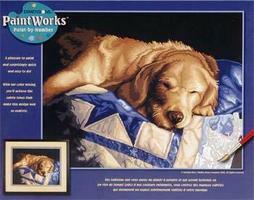 This is the 14" x 11" "Afternoon Nap" PaintWorks Paint-By-Number Kit from Dimensions Suitable for Ages 10 & Older. Design by: Sueelen Ross. 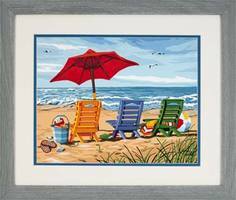 This is the 20" x 16" "Lakeside Village" PaintWorks Paint-by-Number Kit from Dimensions. Suitable for Ages 10 & Older. This is the 16" x 20" "Peony Floral" PaintWorks Paint-by-Number Kit from Dimensions. Suitable for Ages 10 & Older. This is the 14" x 11" "Hibiscus Hummingbird" PaintWorks Paint-by-Number Kit from Dimensions. Suitable for Ages 10 & Older. 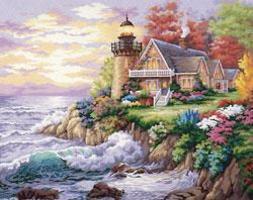 This is the 16" x 20" "Lighthouse in Moonlight" PaintWorks Paint-by-Number Kit from Dimensions. Suitable for Ages 10 & Older. This is the 14" x 11" "Wise Owl" PaintWorks Paint-by-Number Kit from Dimensions. Suitable for Ages 10 & Older. This is the 20" x 16" "Sunset Cabin" PaintWorks Paint-by-Number Kit from Dimensions Suitable for Ages 10 & Older. Design by: Fred Swan. 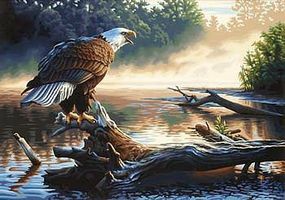 This is the 20" x 14" "Gray Wolves" PaintWorks Paint-by-Number Kit from Dimensions. Suitable for Ages 10 & Older. This is the 11" x 14" "Clematis & Butterflies" PaintWorks Paint-by-Number Kit from Dimensions. Suitable for Ages 10 & Older. This is the 14" x 20" "Garden Bluebirds" PaintWorks Paint-by-Number Kit from Dimensions. Suitable for Ages 10 & Older. This is the 20" x 16" Golden Ride (Dogs in Pickup Truck) Paint-by-Number Kit from Dimensions. Suitable for Ages 10 & Older.